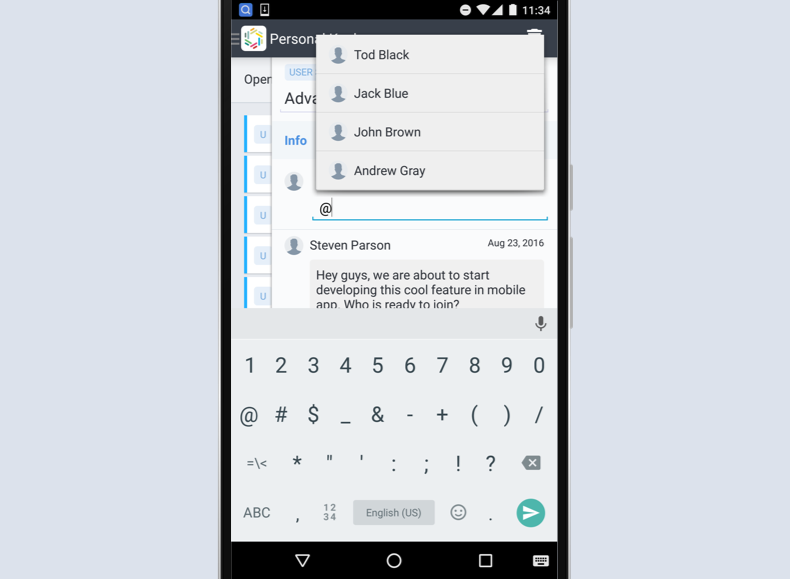 Our latest Android release is going to make communicating with colleagues a lot easier. You are now able to mention people in comments and share photos from your device. When you’re writing a comment, just use the @ symbol, followed by the name of the person you want to notify. They’ll receive an email notification a few seconds after the comment is submitted. Previously, you were able to view an entity’s attachments and photos but could not add new ones. Now, you can. Open the Attachments tab and choose a way to add pictures: select an existing one from your device, or take a new one with your camera. 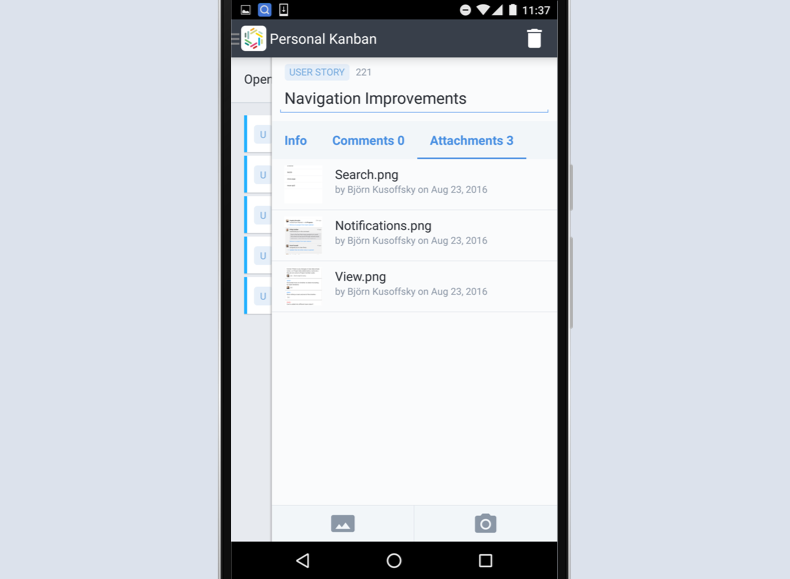 We’re working on improving navigation and general ease of use for our next Android release. Until then, feel free to let us know if you have any feedback or comments to share with our team – just shoot us an email at mobile@targetprocess.com.